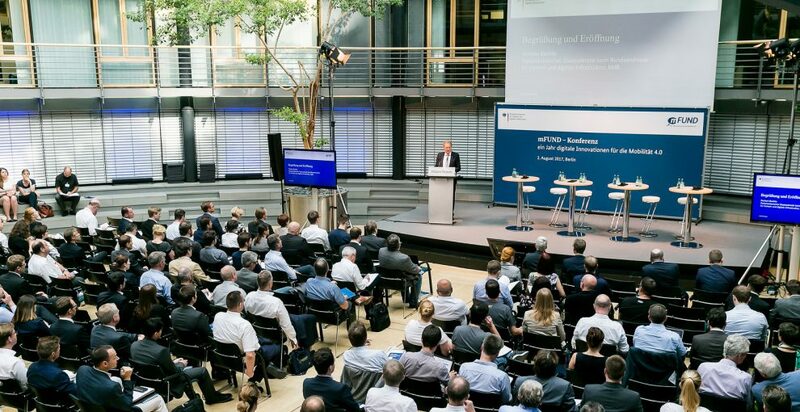 “Data as the engine for mobility 4.0” is the slogan of the second mFUND conference, which took place at the WECC in Berlin on the 16th and 17th October 2018. Funded projects discussed their results in 20 forums and 6 workshops. 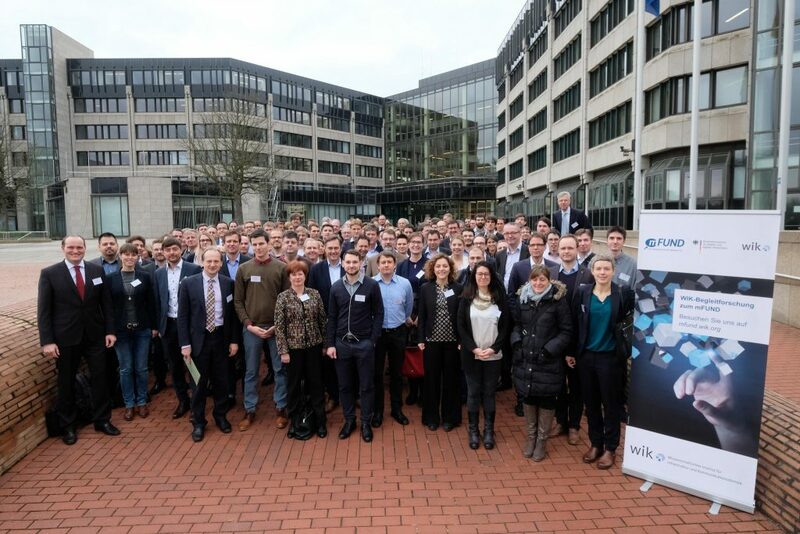 In addition, the venue was a great networking opportunity for about 400 participants. Immediately in the first forum “data platforms and standardisation”, Dr. Matthias Wauer presented the OPAL project and preliminary results. These include the system architecture, quality criteria, a first crawler prototype and vocabularies to be used to describe metadata. In the following discussion, the audience supported the point of view that high-quality metadata are crucial to find suitable open data. Additionally, the recent release of Google Dataset Search shows that OPAL targets a highly relevant research area. While Google Research focuses on already semi-structured metadata from schema.org and CKAN annotations, OPAL attempts to extract less structured, implicit metadata from Web pages. Besides OPAL, the first forum featured related projects like LIMBO and WEKOVI. Both of them use semantic representations of open data. However, they focus on actual datasets, whereas OPAL explicitly deals with metadata. Unfortunately, the last presentation “MetaOpenData” was cancelled. In the majority of the forums, projects focused on the application of specific datasets in certain applications, such as cycling infrastructure, traffic safety and environmental issues, such as air pollution. In conclusion, the work of OPAL will enable better accessibility of open data, which will positively impact such application-oriented projects too. 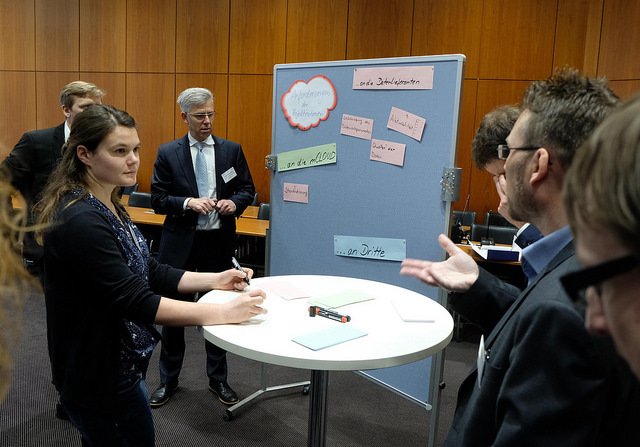 OPAL took part in the kickoff workshop of the mFUND accompanying research. WIK and BMVI organised the workshop on 7. December in Bonn. Represented by Dr. Matthias Wauer, OPAL contributed to the working group discussing open administration data. 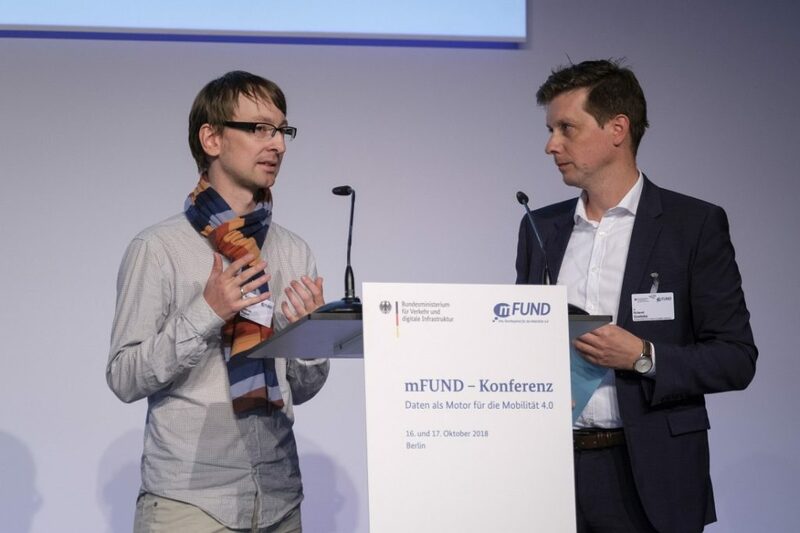 The OPAL project was introduced at the mFUND conference in Berlin. Dr. Matthias Wauer presented OPAL as a representative of Prof. Axel-Cyrille Ngonga Ngomo (University of Paderborn) in workshop 4 “data think tank”.